By Angelina Cheung | 05:29 請按廣告以支持本站! We arrived the second stop of the trip: Panama. As we had bought the air ticket to Bocas del Toro, we flied to here, a place which consisted of several islands. We learnt diving here, both Open Level Diver and Advanced Open Level, much cheaper than those in Hong Kong. 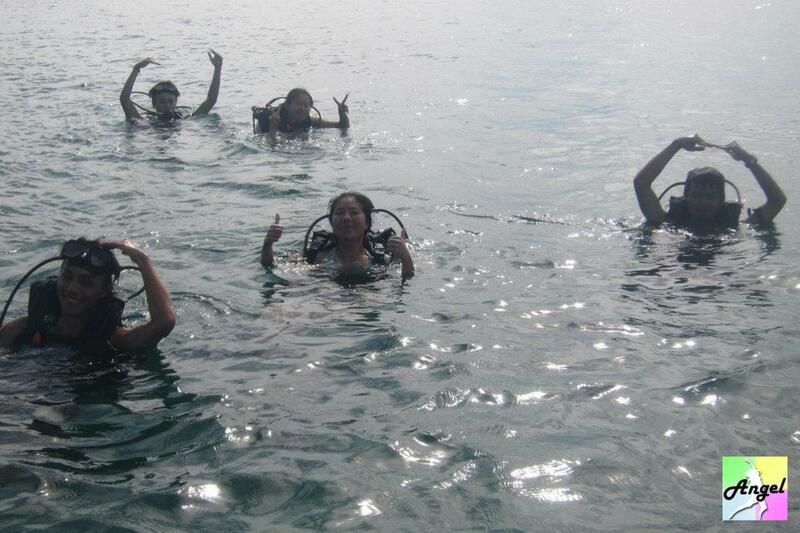 We had dived for 14 times. Though we did not dive everyday, we felt tired all in all! The first thing to remember when diving: Breath continuously, do not hold your breath. Holding your breath is a very dangerous action. In Panama we mainly enjoyed the nature and the beaches, also we went to see the canal and traveled for a long sea journey to Colombia. Take a look at the panama’s public buses, they are from America’s yellow school buses. They painted them and graffiti them. While they are driving, they played loud music! Enjoy it! We had a lot of equipment, you can choose to dress the thing either on the boat or while floating on the water. As the gas jar is so heavy, it is better to dress while floating. We saw many things under the water. As I had short sighted, I could not see clearly. Clear water of Caribbean Sea: amazing. I didn’t need to balance myself to float at there. Feeling good that I am really on vacation! 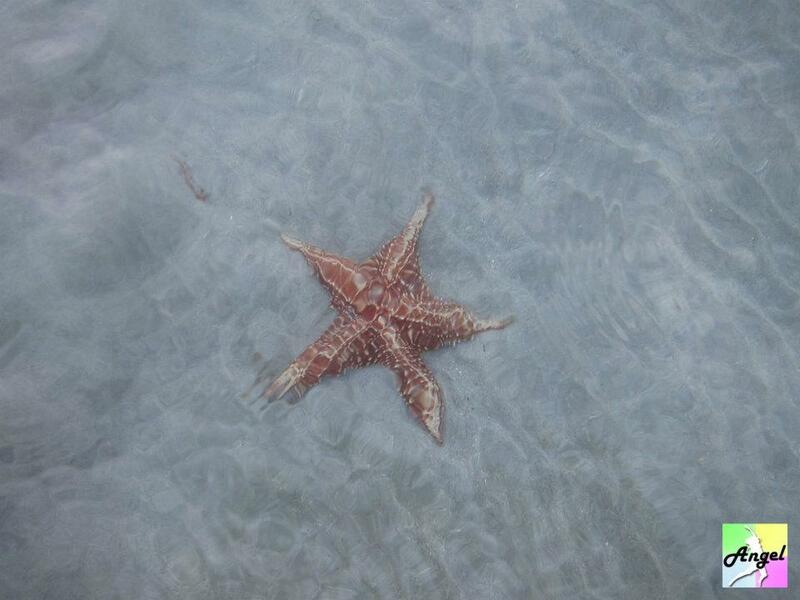 People said that there are many starfish there, but we just saw 2-3starfish there, but they are all in big size. There is a board calling people not to touch the starfish, but they are really so cute that we grabbed them and took some photos. 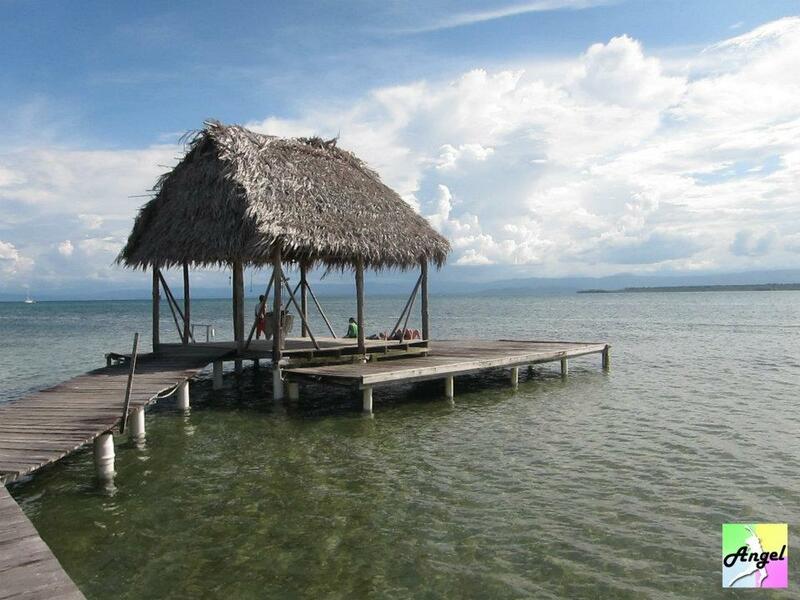 There are many day trips you can choose in Bocas del Toro to go around the little island near it by ships. As we have five people, we found a driver to drive us to different places, this made the time more flexible. We went to Dolphin Bay, Zapatilla, Coral Bay. You can search in google to see how nice they are. We can snorkel in coral bay, there are many fish under the sea, great! This district has many historical sites, mostly cathedrals. Strolling around, feeling the different architectures, this area is very special. The one which impressed me most is the national theatre. I felt the grand and elegant of the theatre. Originally I didn’t know we could go in . But my accompany girl friend asked the security could we go inside to have a look. We should learn the attitude of my girl friend- whatever, go and do it! Panama Canal, a great project. This made atlantic and pacific ocean easily connected with each other. 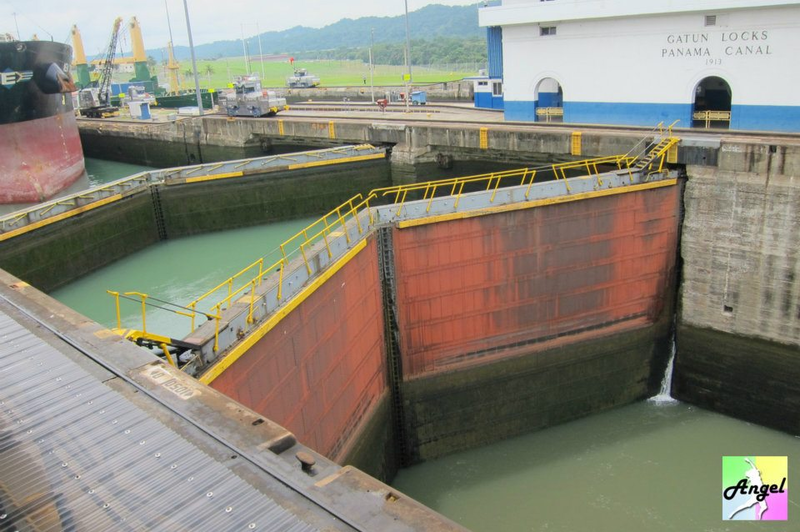 There are two places that we can see the canal; one is gatun locks where we went, another one is miraflore locks. Gatun locks is harder to go but less tourist. The water levels changed making the big ships can pass through the canal. The crew members of the ship say hi to us when they are passing through the canal. We saw the whole process, it was amazing! If you want to go to Colombia from Panama, you can only go either by sea or air. As air ticket had to be booked ages ago, we decided to go by sea. We used more than $130US each person to cross the sea. We had changed 4 boats during the journey. The boat did not have shelter and backs, and the sun kept shining on us. 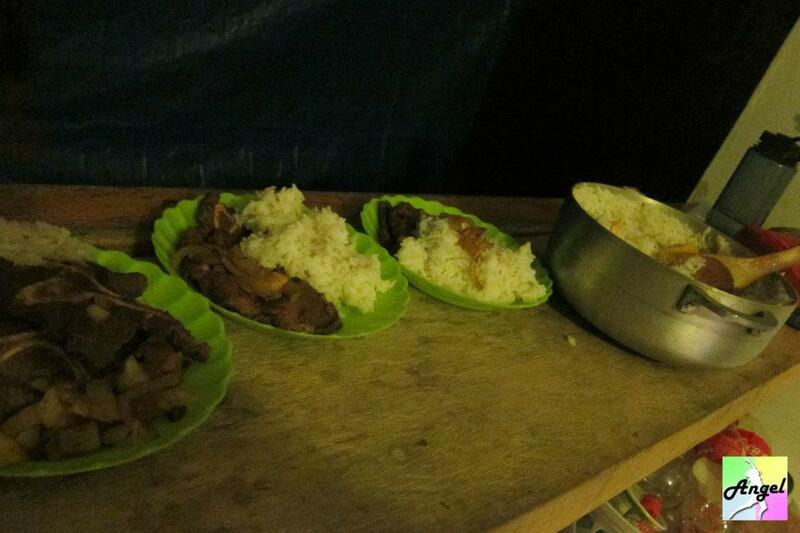 We stayed overnight in one island called Utupu. This island lives 4000people. San Blas is comprised of 366 islands and among these 44 islands live people. In Utupu, there was no tourist, it is an island full of kuna culture. The children are very cute, they do not have any game boy, cell phone, rather they play football, handstand or pushup. These motors are really fast. We tried also 25…with a speed of….slow. At carnival, self making Roulette, do you want to have a try? The musical instruments were great, and they sang well too. Their CDs are worth buying. He, from Colombia, was interested in my spongebob boxer, and he used his self-making bracelets to exchange with me. Souvenirs sometimes came by themselves! Souvenirs were all around. If they were not very traditional, wait until you are at Otavalo, Ecuador. They have a big market to buy souvenirs with cheap prices.